After installing Dropbox on your computer using the above method ,a sync folder called “dropbox ” is created on the home directory of your computer. Now we are going to get a link of zoneminder events and copy to dropbox folder so that you can view events live on the Dropbox cloud. If you right click the mouse on events folder and try to create a link ,you can see it is not allowed . If you use synaptics packge manager to find where the zoneminder files in your computer , you can see another events file in /usr/share/zoneminder. Copy the events file at /usr/share/zoneminder to the dropbox folder at the home dirctory. 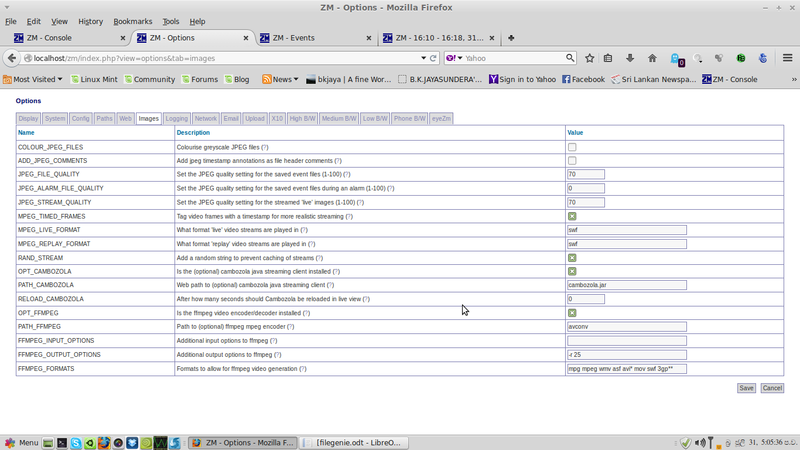 Since this events folder is link to /var/cache/zoneminder/events ,all the zoneminder events are updated lively. Now you can see all the events are uploaded lively to the Dropbox cloud so that you can view the alarm images and videos remoteley . The Zoneminder 1.26.5 software has been designed to use ffmpeg for video generation purpose.But latest Ubuntu 14.04 and Mint use avconv instead of ffmpeg. Since the Zoneminder software is not so user friendly ,I had to find a correct way of using avconv by trail and error method. 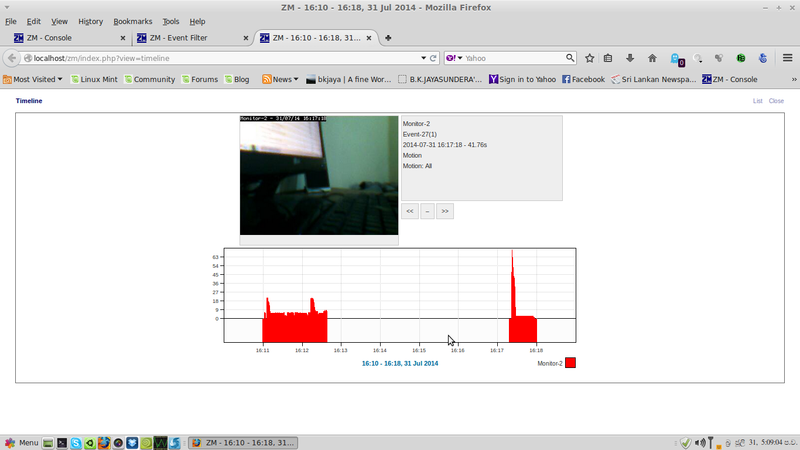 In the previous versions of Zoneminder /Ubuntu combination , for the “Path to (optional) ffmpeg mpeg encoder (? )” we had to give the full path /usr/bin/ffmpeg. But for the Zoneminder 1.26.5 the full path is not required . Now we will have to find whether the method adopted is facilitating to make videos out of the images . This can be tested by uploading the results to a ftp server. Making a filter to activate conditions for making videos and uploading . Then save the filter and execute. 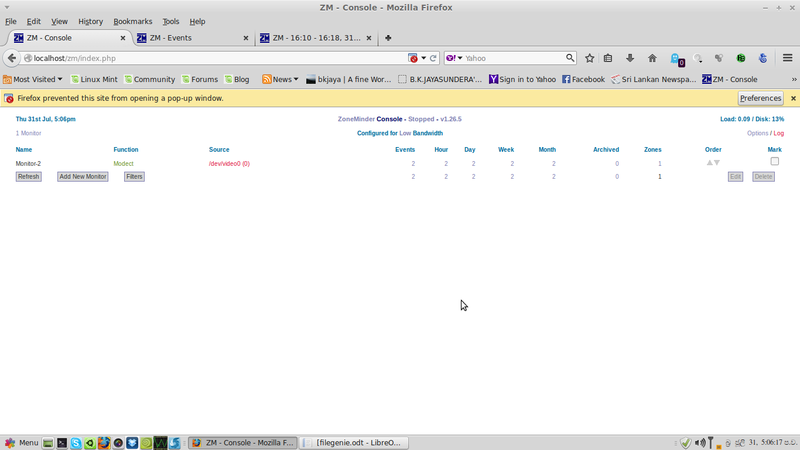 Now if you press the log button in the zoneminder console ,you can see uploading video files to the file server. The deb file can be downloaded from this link provided by the software developers and installed easily using the built in software manager of Ubuntu or Mint .If you use this method the HomeGenie will be installed in the /usr/local/bin/homegenie folder. Then the software is running as root. I like to recommend this method ,as it does not run as root . Download tgz version of software from this link provided by the software developers in to the home directory of your computer . Extract the file to the home directory using the built in Archive Manager of Ubuntu /Mint . Place the mouse cursor right click the mouse and allow to execute as a program and to open with Auto run prompt. Then place the mouse on the start up icon >right click the mouse and ensure whether the file is being permitted to execute as a program and open with Auto run prompt. 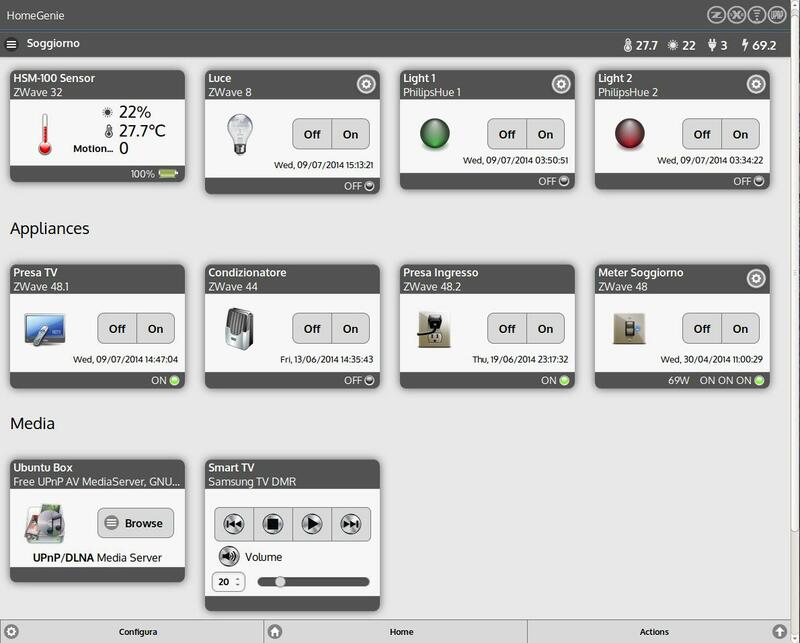 It is easy to configure the program to suit your system. 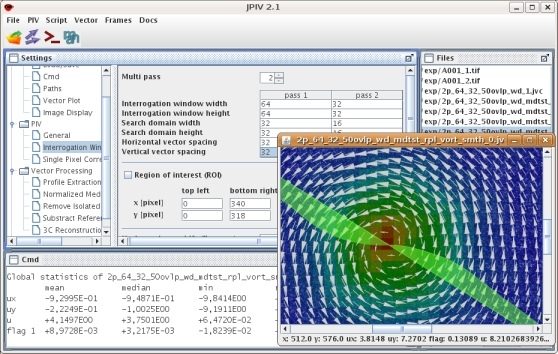 JPIV is a software package for Particle Image Velocimetry (PIV). The program is open source, platform independent. PIV is an optical technique for measuring the displacement of particle pattern. PIV ist mostly used for flow velocity measurements. In contrast to many other techniques, that measure the velocity of a single point, PIV provides information about the two dimensional velocity distribution, or more precise, about the distribution of two Cartesian velocity components parallel to a measurement plane. There are specialized set-ups that measure three Cartesian components in a plane (e.g. Stereo-PIV) or even three components in space (e.g. Tomographic PIV, Holographic PIV). Because it is an optical technique, the fluid flow is usually not disturbed by a measurement probe. The movement of a gas or a liquid is visualized by adding small tracer particles to the flow. With a digital camera, the position of the particles is captured at least twice, with a little time lag between the images. A computer program like JPIV is used for tracking the movement of the particles based on cross-correlation, and to visualize the result. JPIV can be effectively used to analyse velocity distribution in Hydraulic model studies. Icedtea -7-plugin has to be needed to run JPIV. Please install Icetea if it has not be installed already. Create a desk top Launcher by right clicking the mouse . 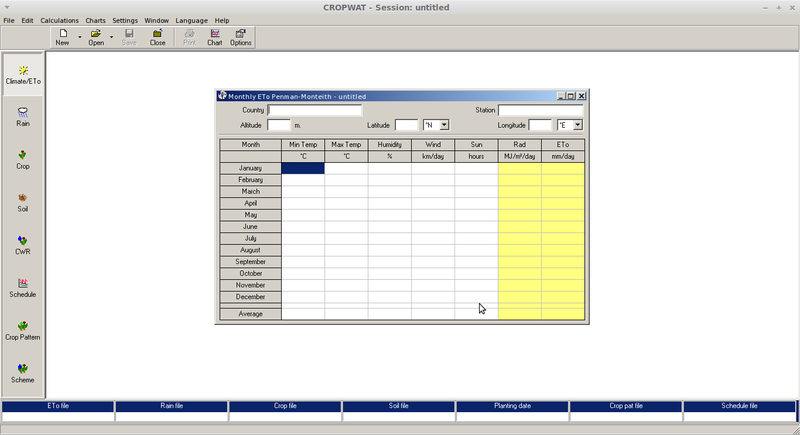 CROPWAT is a decision support tool developed by the Land and Water Development Division of FAO. Then update APT package information by running ‘sudo apt-get update‘. You can now install Wine by typing ‘sudo apt-get install wine1.7‘. find winetricks and install it . The Hydraulic and hydrological simulation software developed by The U.S. Army Corps of Engineers (USACE) Hydrologic Engineering Center are freely available to the public . 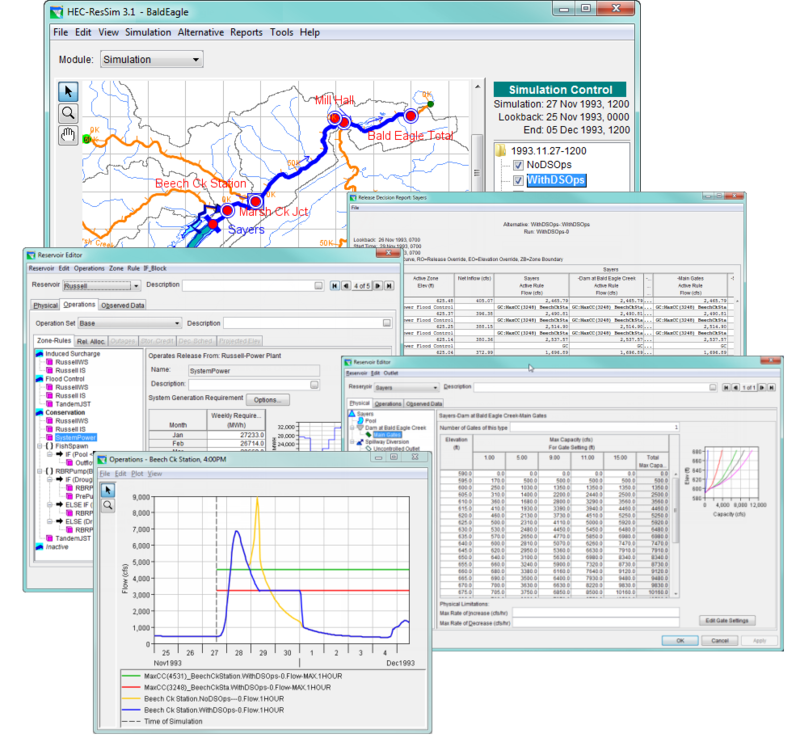 These software are prepared to suit the Microsoft operating systems .Since these simulation software are very useful in advance hydraulic & hydrologic engineering and water resources planning;It has to be found a method to install the same on linux platforms . I have found a simple way to install HEC software on Linux Mint, using Wine 1.7. It is observed that there is no proper Web editor in the Mint Package manager.Therefore we will have to select a Web editor that can be installed on Linux. 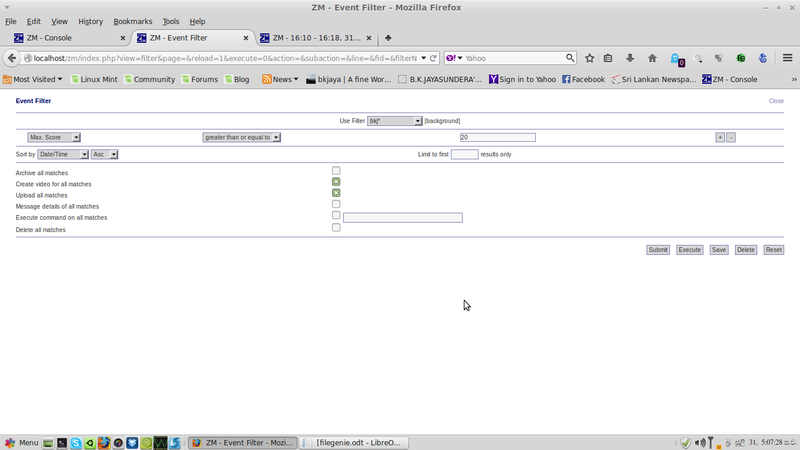 The BlueGriffon is a popular Web Editor that is based on the rendering engine of Firefox. Extract the bluegriffon-1.7.2.Ubuntu13.04.x86_64.tar.bz2 file to the home directory of your computer. Then,In the Create Launcher menu ,browse and select the bluegriffon file in the bluegriffon folder in the home directory. Now the start up icon is added to the Application menu. Web links such as “web site” ,”User’s Community” etc may not work in the help menu of blugriffon until the “open with application” is specified. 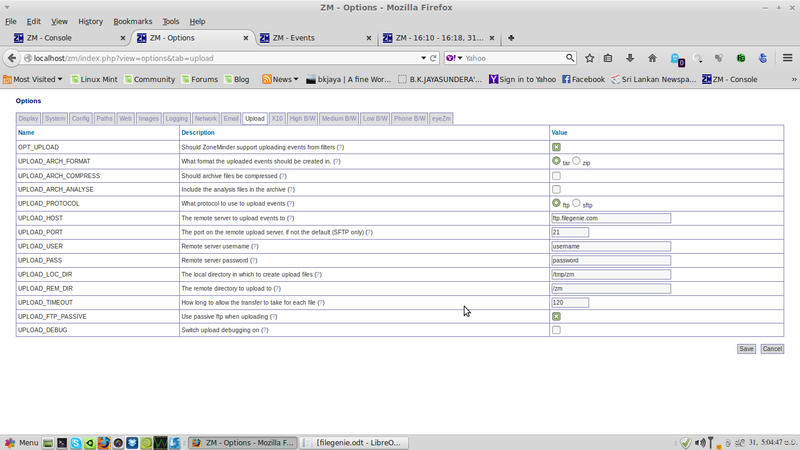 To activate sub menus of Help menu locate firefox at usr/bin/firefox.